There is some controversy concerning who owns your ebooks, and audio books from Audible. The answer is, that the publisher owns the books you buy. You just get to use them. So, what happens to all your ebooks when you die? Can you will them to someone? I have 448 ebooks in my Calibre library. This represents a significant investment and I expect it will grow before I die. I've been an Audible member for almost 15 years and have well over 300 Audible books which are really quite expensive. Yet, I don't legally own any of these. If you search the web, you get all sorts of doomsday scenarios, where lawyers explain your lack of options. Given that we don't legally own our stuff, and Amazon or Apple or Kobo can change our license agreements at will, the situation seems bleak. Furthermore, the Kindle actual license agreement says, Unless specifically indicated otherwise, you may not sell, rent, lease, distribute, broadcast, sublicense, or otherwise assign any rights to the Kindle Content or any portion of it to any third party,... Which seems to indicate you cannot will your books to an heir. I decided to check on the current reality. I wasn't willing to do an actual test (you only get to die once, probably), but I chatted with a representative of each company instead. I don't have an Apple account, so I didn't check with them, but I checked with support at Amazon, Audible (an Amazon company) and Kobo, where I buy most of my ebooks in the Epub format. These are the companies with the online libraries of my books. I asked them each 3 questions. The answers I received tell us the current state of affairs. This could change. The tech support people may have been being dishonest or the companies could decide to change things. I'm sure their agreement with me says they can change anything anytime. But here are the answers they gave, and I have a transcript of our exchange. Furthermore, all these companies want to maintain happy customers and don't want to make millions angry, so this is probably what we can currently expect. The publisher owns the books. You just have permission to use them for personal non-commercial use. Though this is, in fact, the legal answer I got from all three support people, I don't think many publishers would want to remove the books from you. If any of them began removing books from your library, it would create a furor. Can I transfer my books to an heir so they can put them in their account? If so how? Audible: If they have your account username and password, they can transfer the all the books to any account. Kobo: You need to contact us, and we can merge two accounts. Amazon for Kindle books: No that is a legal issue. Books stay with the account they were ordered on. What I wanted to know with this question, was if the heir already had an account, would he or she need to maintain two accounts or could they be merged into one. Audible and Kobo say yes, Amazon says no. This is odd because Amazon owns Audible, so it is possible these answers are not correct. So far I haven't talked to anyone who died and tried it. After I die, can someone else use my account? There is a legal question here because some writers have suggested that it isn't legal for others to access your account. In fact, the Kindle license says exactly that. Audible: Anyone can access and use my account and authorize any device they like. So the heir can simply log in to my account and authorize one of their devices and then have access to everything. Kobo: you can give someone your password and they can use it. Amazon Kindle: The techs actual quoted response: "Just make sure you give somebody the info. It could [be hard] but really it's not. I have two adult children and a couple of grandkids on my account." So it appears that they reserve the right to stop people, but as long as it is minimal and kept in the family they allow it. If I were to publish my account username and password upon my death, they'd all probably close the account if they found out about it. It seems like you can pass your books on to your heirs as long as you don't abuse the license. For many years I used the Sony Reader and purchased books from Sony. They quit the ebook business. But they transferred all my books (except one) to Kobo, so even though they were no longer in the business, I still had all my books. I suspect that a similar procedure would normally be followed if Kobo, Audible or Amazon went out of business. Someone would pay to acquire those customers. Of course, if you didn't mind breaking your license agreement and perhaps the law, you could install Apprentice Alf's DeDRM Tools as a Calibre plugin and have the copy protection removed from all your books as they are imported into Calibre. You might even feel this is morally justified as long as you are doing it only to make your own copies and you never give them away. 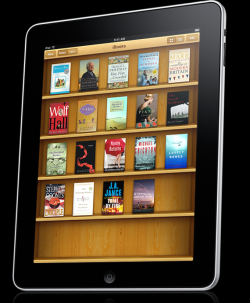 Then you could give your ebook library to whoever you wanted and they could read them with whatever reader they wanted.